A quick look at the share price returns for listed mini-cement stocks (smaller cement companies) over the last one year gives a good idea about the woes of the sector, with shares losing anywhere between 20 to 72 per cent of their market capitalisation. However, despite the slowdown, for patient investors wagering on the "India growth story" in the decades to come, the cement sector is one that provides for interesting opportunities through a platform structure. "Scale" is critical to creating a successful cement-focused platform company in India. Operational efficiencies across the value chain and an aggregated distribution strategy will be the two pillars that may help build a profitable and better-hedged business. A smaller cement business faces greater headwinds under challenging market conditions. At a fundamental level, a smaller company is far more exposed to the vagaries of both input price fluctuations and selling price dynamics. Greater exposure to the vagaries of price fluctuations is due to a lack of scale of operations, lacking in geographical diversification, lower negotiating power with sellers and buyers, lack of consistent brand building and lower capacity to create the operational infrastructure to build an efficient supply chain at a relatively low cost. A large platform company will be able to build a distribution network through both scale and better negotiation capacity with suppliers and customers to create more robust contracts. Access to energy inputs is vital for cement production, and so is transportation to cater to a large user base. A platform with scale and resources can better identify potential synergies across both input costs and the sales process than relatively smaller firms. Additionally, the use of robust back-end technology platforms will help scale and operate effectively. To emphasise on the importance of input and logistics costs, one must look at the numbers for a significant cement operator such as UltraTech. In Q3 of 2019, power and fuel costs were approximately 23 per cent of the final sale price while logistics costs were a little less than 25 per cent even for a large-scale operator. The numbers drive home the fact as to how significant a component of the total cement value chain are power input prices and logistics cost. Utilising a platform company to aggregate, reduce and manage these costs will be vital for success. In a capital-intensive business such as cement, focusing on Return on Capital Employed (ROCE) is as critical, if not more, than in other industries. A financially savvy operator can help boost ROCE through aggregating smaller firms to focus on reducing costs, lowering input price and logistics cost volatility and building a more recognisable brand. Additionally, it is also vital to take a disaggregated view of the business to boost ROCE. The ability to view each asset in a portfolio regarding profitability is crucial to the aim of maximising ROCE. At a disaggregated portfolio level, assets that fail to recover their variable costs will need urgent attention from the platform operator to ensure that inefficient units aren't hidden within a large aggregated business. Essentially, in a commoditised business a larger platform company will be able to generate greater cash flows during periods of high demand and when the business cycle downturn occurs the available cash and structural advantages of better contracts, and more efficient supply chains, will help weather the storm. The much researched and discussed Mexican cement business Cemex provides a template that can teach investors and operators alike. 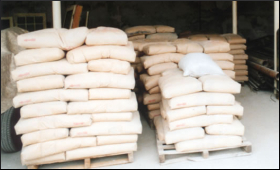 Improving efficiencies, lowering costs, negotiating longer-term low volatility contracts and creating a premium brand synonymous with quality even in a commoditised business such as cement is the way forward. True, the cement business faces challenges given the commoditised product and the sporadic instance of the loss of pricing power, but it is as much true that the impending housing and infrastructure demand in India is one that will create a significant opportunity. The ability of an operator to aggregate smaller cement businesses in India into a robust platform is a value proposition worth considering.